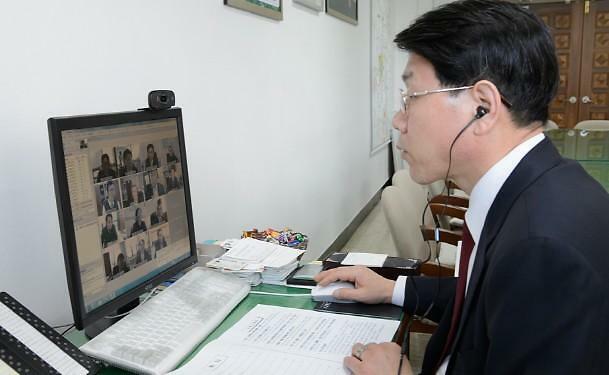 Sejong city which is the administrative city of Korean Government has introduced Nara-eEum video conferencing system as part of Government 3.0 project to innovate how to work and improve meeting culture. Sejong city plans to hold video conferencing presided by Mayor starting with weekly executive meeting held in the morning of 12 Feburuary. And the city will continue to monitor the conference and improve the effectiveness to replace the face-to-face meeting and extend the use of video conferencing. Along with that, the city plan to enhance the administrative efficiency by reducing the time and paper documents for offline meeting, information share and corporation between organizations, which help improve meeting culture. Nara-eEum system is an integrated communication system for Government-wide organizations, which supports PC-based realtime conferencing without the need to meet in a physical location, complying with Government 3.0 policy. Deputy mayor, Mr. Lee Jae-Kwan mentioned that PC based-video conferencing system should be actively utilized in the public office and Sejong city would make an effort to play a role to implement and settle it down as early as possible.